The United States has enemies who wish to take us down. It’s easy to see our sworn enemies outside our borders, like North Korea and Iran, and take appropriate defensive action. But it’s harder to see our enemies our borders. 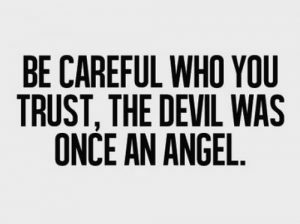 Yet they exist and are actually more dangerous if not acknowledged. In the 1930s during the Great Depression, the Communist Party in America gained a foothold. They continued to grow until they reached 85,000 members by the early 1950s. 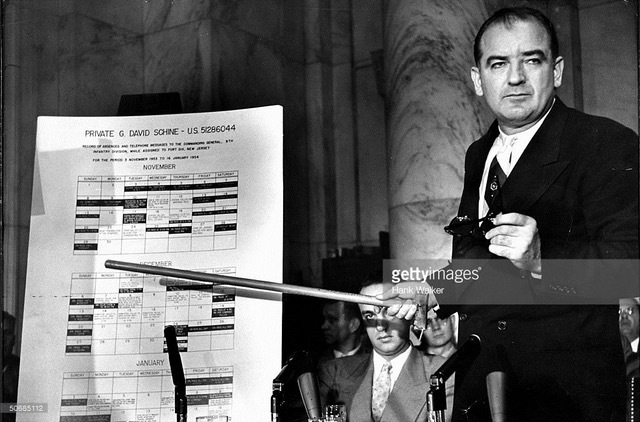 In the spring of 1954, Senator Joseph McCarthy held hearings on unAmerican activities exposing the Communist threat. These hearings were broadcast live on television and shocked America. Due to what was learned in the hearings, President Eisenhower expanded his loyalty-security program through which he identified and fired hundreds of federal workers who had infiltrated our government. Congress responded by passing a law that was designed to outlaw the American Communist Party. 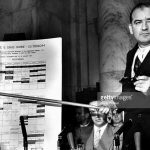 Despite revisionist history that has dubbed McCarthy as being on a witch hunt or causing an unnecessary “red scare,” the truth is Communism was a growing threat from within our borders, and McCarthy exposed it for what it was. Growth of Communism was shut off and the Communists had to find another way to reach their goal of defeating America. 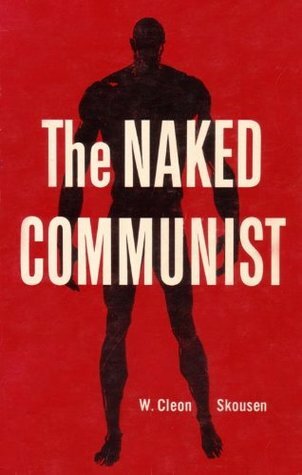 In 1958, W. Cleon Skousen, an ex-FBI agent, wrote a book entitled The Naked Communist. Having seen what was going on in America from the inside, he wrote brazenly about what the Communists were up to. It would be difficult to argue they’ve not achieved these goals. Needless to say, the Communists have stealthily invaded this nation without firing a shot. Everything America has stood for in its first 200 years was being dismantled piece by piece until the Lord allowed Donald Trump to be elected. The liberal-controlled media (CNN-Communist News Network, NBC, CBS, ABC, et al.) has been on a rampage to do anything and everything to keep the lid on where they have been taking our country. How long the Lord will allow President Trump to fend off his foes is anybody’s guess. Regardless, a LOT of damage has already been done through the years—under both Democrat and Republican administrations. For instance, public education has been totally decimated. Are you aware that today, literally one out of every five high school graduates can’t even read?! (8) And yet we spend more per student than any nation in the world. (9) Where is the outcry? In 1994 at a Steeling the Mind Bible Conference in Vail, Colorado, we had a two-hour presentation on the sheer evils of a new education program being rolled into public school systems nationwide. Called Outcome-based Education, or OBE, it was in-your-face evidence that progressives had come out of the closet using OBE as their perfect Trojan horse for social engineering. National pride, gun control and Christian views on creation and miracles were being openly ridiculed while the environment, socialism/globalism and homosexuality were lauded. Curricula were made easier to pass and “absolutes” were abandoned. Common Core actually had some pure education teaching fixes, but the assault on Christian values continued. Between 2010 and 2015, Obama directed $7 billion to turn around 5,000 failing schools. The only problem was there was no accountability with the money. Imagine sending out $7 billion to liberal educators without supervision! So there’s no surprise that it was a colossal failure. But what Obama didn’t accomplish with education, he did through secular social engineering of our kids. Why Do We Have Public Schools? The purpose of education should be to train students in communication, writing, speaking, research, problem-solving and critical-thinking. It’s not just knowing the answers to questions on a test. It should teach them how to live, work and think. And for Christians, education is worthless if God is not the central part of it. And do realize that education is not religiously neutral. The publishers of school books teach from either a secular or biblical worldview. There’s no middle ground. Students learn to view the world from either a secular or biblical lens. Obama’s legacy is that now public schools brazenly indoctrinate students with a philosophy that is virtually opposite of scripture. The article explains how Obama “improved the lives of transgender people by fighting the discrimination against them,” but all of that is now in jeopardy because of President Trump. I doubt few adults understand all that, much less an 11 year old. When they kicked God out of the schools, they lost their rudder. Public school, the largest time-influence of our kids, is unabashedly and enthusiastically teaching that the world is not about God, but about man. God says parents should teach their kids about God, Who He is, what His rules are and what He expects. And they are to teach His spiritual truths all day long. If we are commanded to teach our children God’s Word from the time we get up to the time we go to sleep, that would include the eight or so hours during the middle of the day while they are at school. But instead of teaching God’s truth, central planners mold them into functionally illiterate graduates that are unable to think critically, much less know their purpose in life. And without understanding God’s purpose, depression sets in. So not surprisingly, teen suicide has doubled in the last ten years. (6) But depression is also coming from the amount of drugs taken—illegal and legal. Who Should Teach Your Child? A Christian parent should want his child to be taught by a teacher with a biblical worldview. Then the students can be taught to compare everything to what God says, in order to learn what God wants. Since children are born sinners they need to be “trained” to know what is good and evil. And who should define what is good and evil? Obviously the Lord Who created us. And He gave us all we need to know in His Word—wisdom comes from God. So it’s no surprise that when God was kicked out of public schools in 1963, Satan filled the void and things have been progressively going downhill since. Students cannot publicly acknowledge Jesus Christ as Lord and Savior, while at the same time students can discuss Allah, Confucius, Karl Marx and a host of other godless people. So it’s safe to say that Satan has compromised our public schools. But too many parents refuse to acknowledge the facts. Or they simply say they can’t afford to send their kids to a Christian school. Which, quite frankly, is admitting that money is their god. Another reason we hear is that parents send their kids to public school so they can be “salt and light.” Really? Do you really want to send your kids into a Satanic battle they will most likely lose? For every one kid who survives there are dozens who buy the lie and lose their faith. Unfortunately, what Russ was saying in his presentation entitled “Inside The Public School Nightmare” was, in fact, true. He was methodically going down a long list of facts about public schools today; things most parents either don’t know or willfully ignore for a variety of reasons. Apparently, hearing all the cold hard facts at one time was too much for this lady. After a brief exchange back and forth with the lady, Russ continued to document his long list. By the time he finished, pretty much the entire room understood the gravity of the public school situation. There is no excuse for any Christian parent to allow their child or children to go into Satan’s playground. If you’re blessed to have children, the Bible says don’t yoke them with unbelievers. If God’s Word is not allowed to define what sin is, then on what basis can anything be weighed or examined? You can call it what you want, but if it’s not God’s basis, then it’s Satan’s. There is no gray area or middle ground. 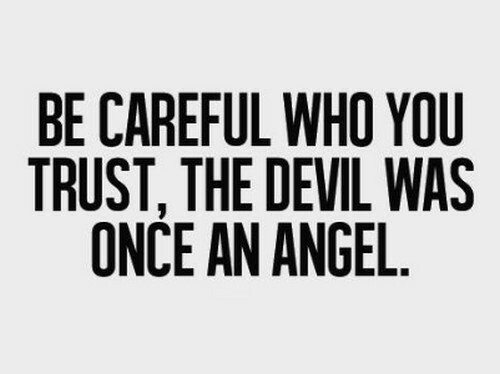 You either use God’s measuring stick, or you’re using Satan’s. The entire Steeling The Mind Conference, including the presentation on public schools that upset that lady so much, is available on DVD for $29, or you can download and watch it for $4.95 each or all conference downloads for $19.95. Click here to see the titles and/or order. See also Curtis Bower’s presentation on “The Communist Agenda in the U.S.” here. Uri Bezmenov, a KGB agent who defected in the late 1960s, said in 1984 that Russia knew American academia was a big supporter of communism.